OG Kush Seeds were originally created in California and quickly established themselves as a favorite within many personal and commercial grow rooms. With its distinctive aroma and taste, OG Kush has become a firm favorite around the world, as well as remaining one of the favored and preferred Marijuana strains of the Marijuana Dispensaries due to the powerful Indica effects and long lasting high. The genetic base of OG Kush Seeds is as steeped in mystery and confusion as the very name itself. While many agree that true OG Kush Seeds contain the original genetics of Chemdawg, the remaining parentage remains a mystery, with influences including Lemon Thai, Pakistani Kush and Hindu Kush all playing a part. Likewise with the name OG Kush Seeds, while some consider the origins of the name to have come from the California Rap stars enjoyment of the smoke, and so naming it OG (Original Gansta) while others agree it’s an older reference regarding where it was first cultivated and grown, Ocean Grown, by the Ocean in California. 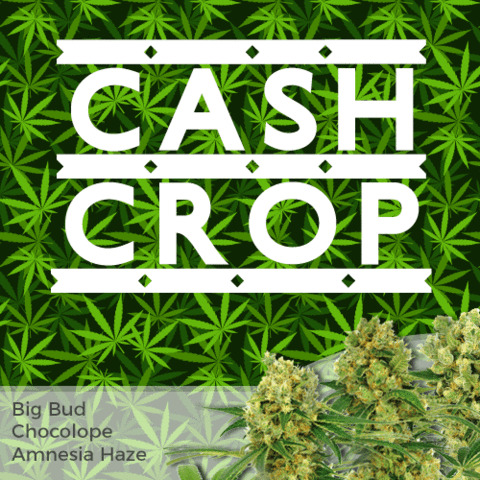 Whatever the origins of the name, one thing that is agreed upon is the quality, OG Kush Seeds produce some of the highest grade Marijuana and offer the user a unique taste and high that is rarely matched by any other strain. 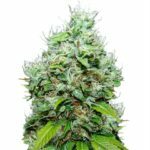 OG Kush Seeds have formed the basis of many hybrids, its distinct flavor and powerful high have been integrated into many hybrids, forming a never ending supply of new seeds, plants and buds, suitable for all tastes. However, sometimes you just want the real thing, and that means buying OG Kush Seeds from the genuine source. Here at VegPage.com, your best supplier of Marijuana Seeds for sale in the USA, we recommend 3 of the very best breeders of genuine OG Kush Seeds and can provide you Single Seeds, or complete packets of OG Kush Seeds at the cheapest prices online. Discover more about our recommended OG Kush Seeds for Sale below. OG Kush Seeds are available from a variety of breeders, but for many people DNA Genetics and Reserva Privada, their Sister company, offer the best choice of stable, uniform OG Kush Seeds. Considered by many to be the true OG Kush, even possibly an original Chem Dawg cut that has been developed, the Reserva Privada OG Kush Seeds are some of the best selling Marijuana Seeds in America. Offering yields of between 400-500 grams per square meter, depending upon growing conditions and the environment it is grown in, Reserva Privada OG Kush Seeds offer a creative high that’s both powerful but stimulating, endorsing its Sativa inheritance. DNA Genetics Reserva Privada OG Kush Seeds are available in either packets of 3 or 6 Feminized seeds and can be purchased discreetly online. Buy your OG Kush Seeds through the Original Sensible Seeds banner at the bottom of the page. Veg Page Finding You The Best Marijuana Seeds Offers – Free Royal Queen Seeds. 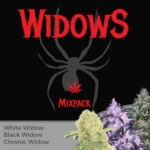 Royal Queen Seeds OG Kush Seeds are available as Single Seeds, or as complete packets of 3, 5 and 10 feminized Marijuana Seeds, offering you the chance to add a single seeds to your collection, or try before you decide whether or not they are the right Weed Seeds for you. These OG Kush Seeds are best suited a Sea-of-Green style of growing, where there are grown close together and as many as possible. 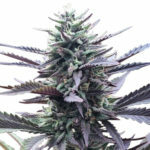 They remain short in growth, as you would expect an Indica dominant Kush, however, if you wish to limit the number of OG Kush Seeds you are growing, and therefore a Sea-of-Green method is not an option, why not consider maximizing your yield using a SROG system, or a Single Seed bubblator, both of these methods will significantly improve the yield from a single OG Kush Seed. Given a Sea-of-Green method, Royal Queen Seeds OG Kush Seeds will require around 8 weeks in flower under a 12/12 light regime, returning an average of 45 grams per meter. However, as with all Weed Seeds, the return is always as a direct response of the environment and growing conditions that the seeds, plants and subsequent buds are subjected too. You may think you know all there is to know about growing Weed Seeds, however, we recommend purchasing the very best book available to ensure you follow the correct information. There are many myths about growing Weed Seeds, ensure you take the best advice by purchasing an indoor growing guide to assist you in reaping the best harvests, both in quantity, and quality, see the link at the bottom of our website for more information. 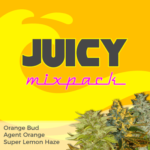 Free OG Kush Seeds with every order of Dinafem Seeds is just too good to miss, if you are wondering what all the fuss is about, or have never tried real OG Kush, then prepare yourself for an experience you will never forget and long to repeat. Dinafem Seeds are so sure that once you grow their OG Kush Seeds you will be returning for more, that they are currently offering all of the people who purchase any of their Dinafem Seeds a free OG Kush Seed with every order, however, stocks are limited and the alternative free seed may be their latest Dinachem, a ChemDawg hybrid even more enticing then their OG Kush Seeds perhaps. Order your Dinafem OG Kush Seeds here and receive not only free extra Dinafem Seeds, but also our standard Free Marijuana Seeds with every order. Dinafem OG Kush Seeds are a combination of the three true elements that combine to create OG Kush Seeds. This blend of Lemon Thai, Pakistani Kush and Chem Dawg are the necessary ingredients for constructing the perfect OG Kush Seeds and Dinafem have produced a winner, worthy of the name OG Kush. Combining a 70% Indica mix, together with the remaining 30% Sativa, Dinafem OG Kush Seeds require approximately 55 to fully flower and mature, producing neon green buds that are currently commanding the highest prices in the Marijuana Dispensaries across America. Stability, high germination rates and uniform Marijuana plants are all signs of correct genetics, together with a THC content of an extremely potent 24%, we believe that Dinafem OG Kush Seeds are to be considered when buying OG Kush Seeds Online. You can purchase Dinafem OG Kush Seeds feminized as Single seeds to add to your collection, or grow as a single Weed plant. 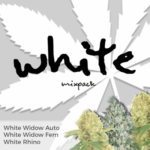 Alternatively they can be purchased in complete packets of 3, 5 and 10 feminized Weed Seeds.